Whole life insurance is one of several life insurance options you can invest in. It provides coverage for as long as you pay the premiums, and you can withdraw cash from the benefits balance before you die and pay for travel, medical care or other expenses. Whether your parents purchased a whole life policy for you when you were young or you purchased it as an investment for your future, you can convert it to a term life policy. 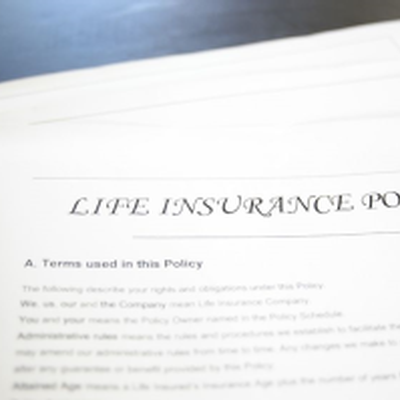 A term policy offers coverage for a specific length of time. Since it’s often more affordable than a whole life policy, many people convert and invest the money they save into a retirement account. To convert your policy, follow these steps. 1. Decide how much coverage you need. Insurance experts recommend you buy an insurance policy with coverage that’s at least eight times and as much as 12 times your annual salary. This way, your survivors can pay your funeral expenses, repay debt and provide financially for your dependents. 2. Purchase a term life policy that works for you. Before you cancel your whole life policy, purchase a term life policy. Most term policies require a medical exam, and companies screen for risks like smoking, obesity or risky hobbies. There’s a chance you won’t qualify for a term policy or be able to get the amount of coverage you need, so make sure to keep your whole life policy in place before you convert. 3. Cancel your whole life policy. Now that your term life policy is in place, cancel your whole life policy. Don’t just stop paying premiums, though. Contact your whole life insurance agent and request to cash out your policy and have the funds transferred to the account of your choice. Otherwise, you may lose any money you had invested. Switching from whole life insurance to term life insurance is pretty simple. When you decide you’re ready to convert, give Tracy-Driscoll a call at 860-589-3434. We can assist you in getting the coverage you need at a price you can afford.